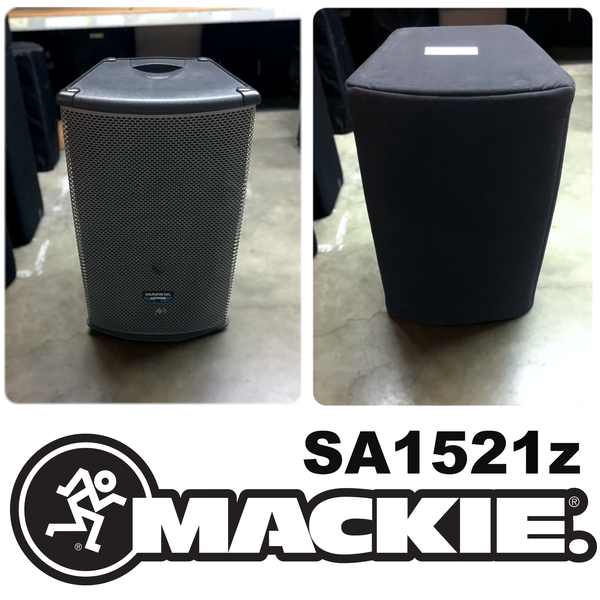 One pair (2 units) Mackie SA1521 Active 2-Way Speakers, with covers, as shown. Sold "as-is," but guaranteed not DOA. Cosmetically, in quite good condition, save for the compression damage to the grills (see photos). Otherwise near perfect. 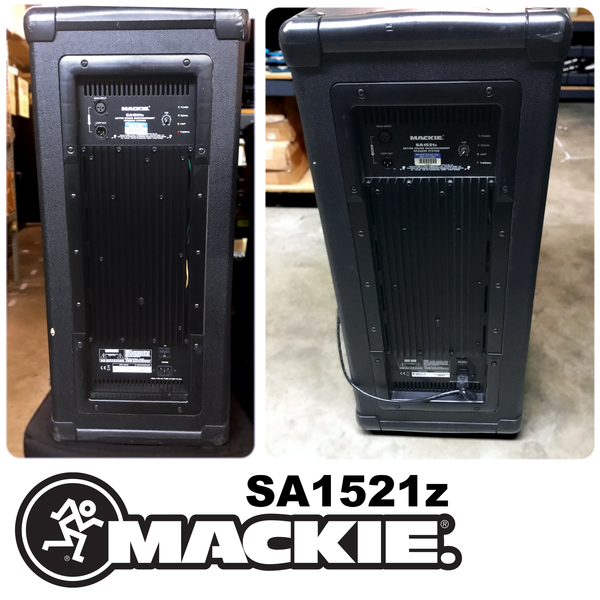 The SA1521 is an active 2-way sound reinforcement speaker system designed for extreme accuracy, high output, and smooth dispersion across the entire audio frequency range. 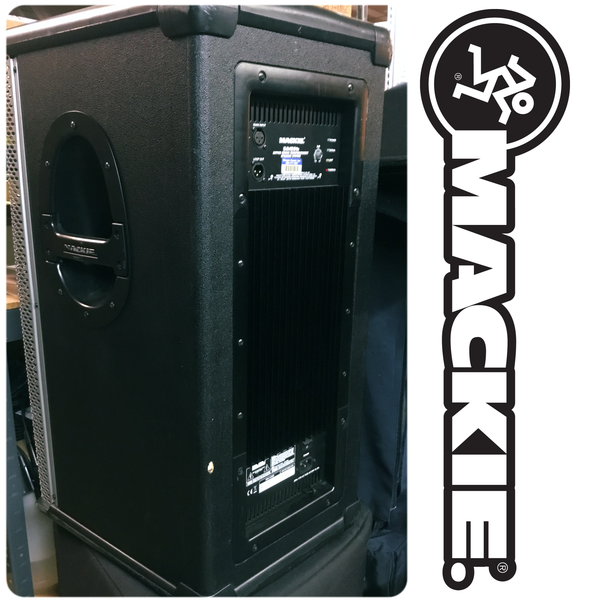 It integrates 500 watts of amplifier power, active control electronics, and RCF Precision components into a speaker system with 100 dB sensitivity (1 watt @ 1 meter). 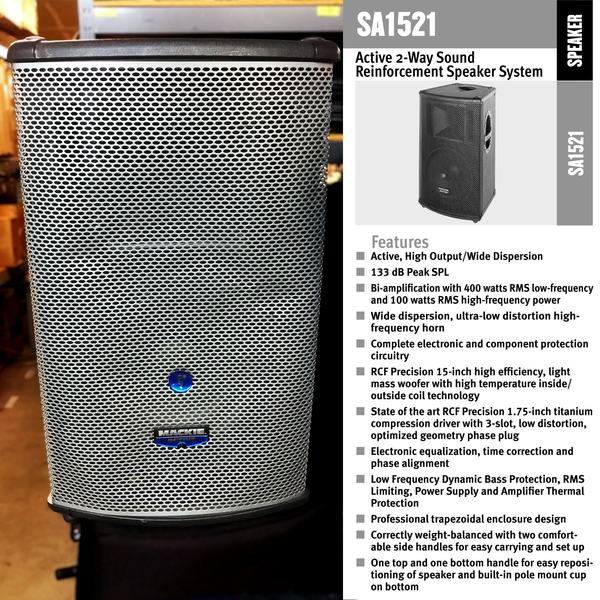 The resulting high resolution and clarity in the critical low-mid and mid-range frequencies are unparalleled for a 15" loaded, 2-way speaker system.